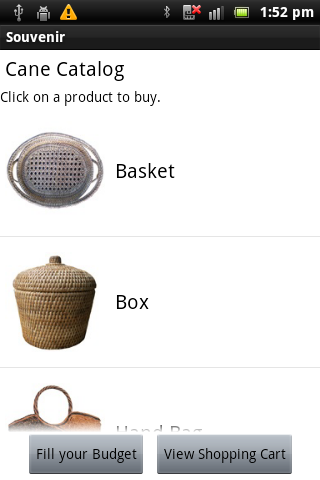 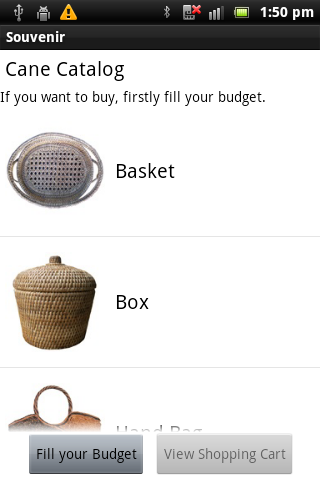 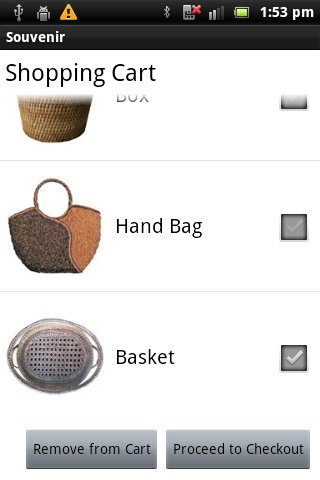 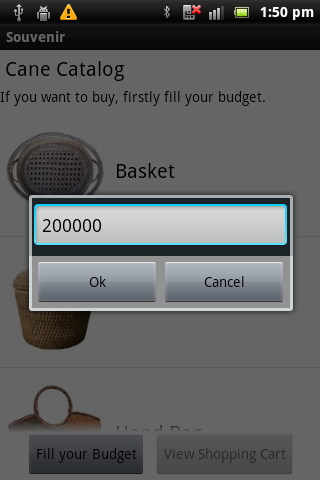 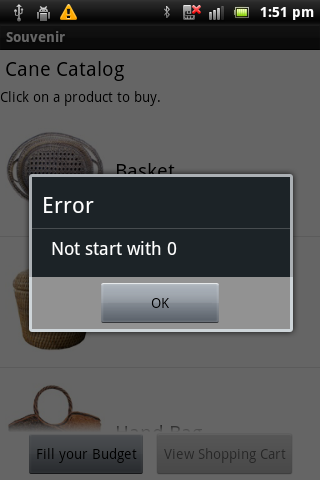 This application is designed as the shopping experience for Souvenir. 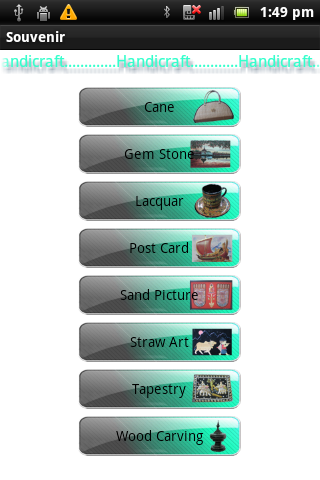 In the current time also, if we are visiting to other place (or) going to abroad, we want to take back the memorial things to show and to present to our closed friend. 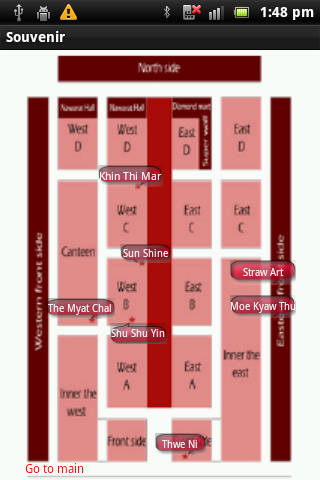 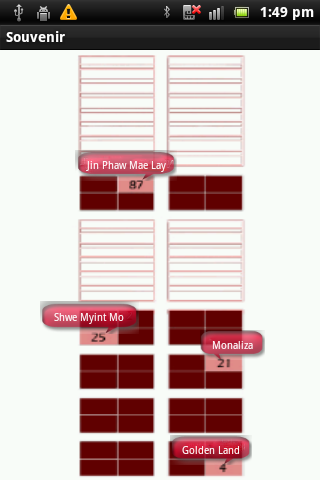 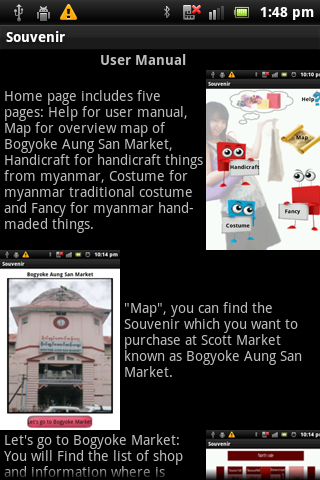 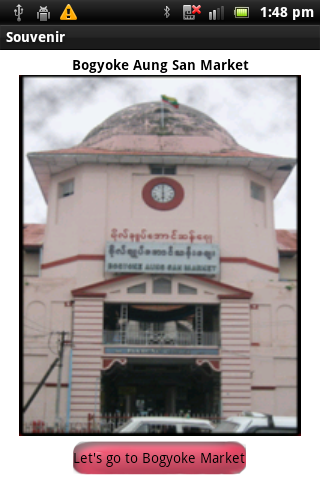 So, this application will help you to forecast the Souvenir in Myanmar. 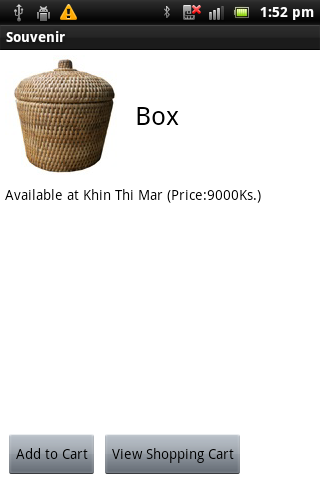 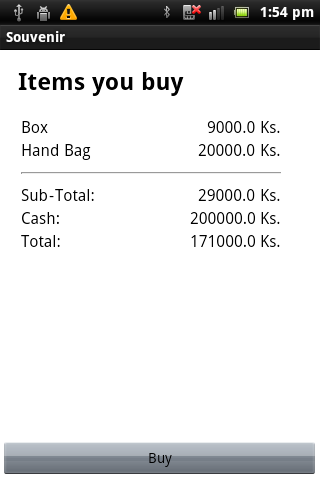 Also, you can test the application as a virtual shopping experience and you will be more related with the price..and let’s choice your appreciate Souvenir to your closed friend. 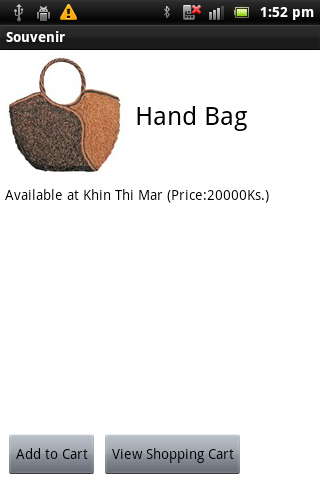 Note: The price is average and you can negotiate to purchase it.